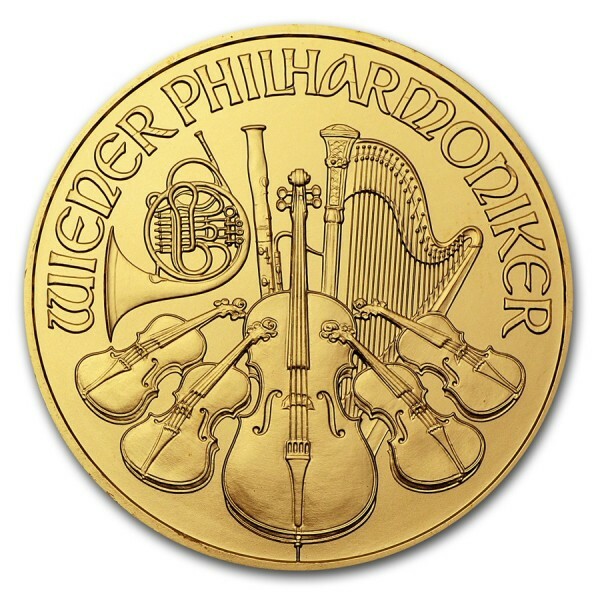 Gold Austrian Philharmonics feature worldwide popularity with their beautiful classic design of the Musikverein and its array of instruments, including the cello, violin, harp, french horn and bassoon. These attractive Gold pieces contain 1 oz of .9999 fine Gold. Coins dated prior to 2002 are denominated as 2000 schilling. 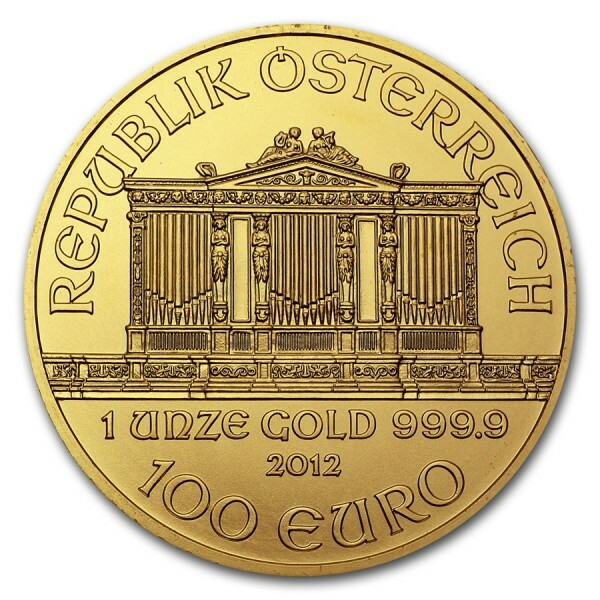 Coins dated 2002 to present are denominated as 100 euros.